In 1997 the Institute of Mathematical Problems of Biology celebrated its twenty-fifth anniversary. The idea of founding the Institute was set forth by academician G.K.Skryabin, who was at that time director of Pushchino Research Center and Chief Scientific Secretary of the Presidium of the USSR Academy of Sciences. Thus, in 1972 Research Computing Center of the USSR Academy of Sciences was organized with the support from President of the USSR Academy of Sciences M.V.Keldysh. Subsequently the Institute was reorganized and given a new name of the Institute of Mathematical Problems of Biology. The Institute was entrusted wiht a task of developing mathematical and computing methods for biological investigations. Another goal was to provide computer support to the Institutes of Pushchino Research Crnter (PRC). As high-power personal computers and work stations bacame widely available this task lost its urgency. However, the advent of supercomputers and development of the Internet may suggest that it is too early to call it a day. Long-term collaborative work with biological institutes of PRC caused the emergence of independent lines of investigation in the Research Computing Center, resulting in serious revision of the aims and tasks of the Institute. 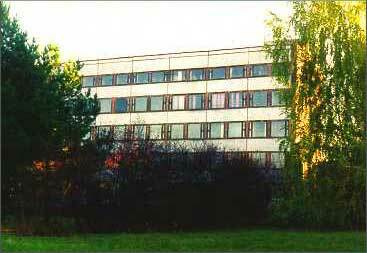 As a consequence, in 1992 the Research Computing Center was reorganized into the Institute of Mathematical Problems of Biology. In the 60's-70's biological sciences evolved rapidly. The beginning was made by the discovery of the DNA structure which clarified the mechanism of matrix replication in the transmittance of hereditary traits. Academician I.E.Tamm attended the first report on the DNA double helix at the conference in London. Impressed by the report he retold it at Keldysh's seminar at the Institute of Applied Mathematics (IAM) immediately on coming back to Moscow. Why did the physicist discuss biology with mathematicians? The Institute of Applied Mathematics headed by M.V.Keldysh was engaged in extremely wide diversity of investigations. Not to mention a large role of the Institute in the development of nuclear weapons and aerospace engineering. IAM was concerned with computer methods, programming, computer translation and many other problems which subsequently were given the name of computer science. In the early 1970's the leaders of the country considered the opinion of the Academy of Sciences and, particularly, its President M.V.Keldysh. They realized the country's falling behind in biology. (In this regard Tamm's reaction on the "double helix" was quite intelligible). It was necessary to make a sharp spurt to overcome the backwardness in molecular biology. The establishment of Pushchino Research Center was an important step in pursuing this aim.